Mid morning flight up to Ivalo in Finnish Lapland. On arrival you will be met by a local guide and transferred to Nellim Wilderness Lodge. Check into your chosen accommodation for a 3 night stay before an evening meal is served in the restaurant. 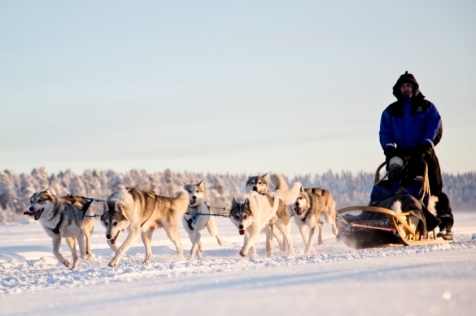 The day starts with breakfast, after which you experience your first Arctic adventure - mushing a team of huskies. After full instruction, you head (driving in pairs) out into the surrouding wilderness for a ride of a life time. As the dogs pull you along a snow carpeted trail the silence is broken only by the whooshing sound of slicing sleigh runners. A stop is made so that you have the opportunity to swop driving responsibilities. On your return lunch is served at Nellim. The afternoon is at leisure, then after dinner, start your engines and go in search of the northern lights by snowmobile. 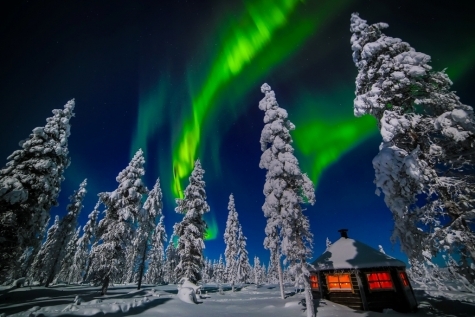 If the conditions are right your snowmobiling prowess could be rewarded by a dazzling overhead display. After breakfast today, we have a 4-hour snowshoe trek. it does not take long to master this ancient art, and after a little practice, you will soon be travelling through the deep pristine white snow that surrounds the lodge. Half-way round there is a stop for a wilderness lunch served around an open fire. Returning to Nellim, the afternoon is at leisure before a final pursuit of the northern lights. 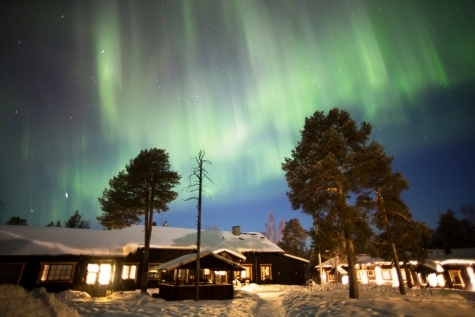 After dinner, you will be driven by snowmobile sled to one of Nellim's wilderness camps. 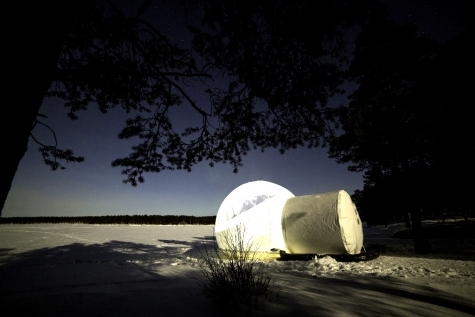 These camps are located in northern lights hot spots and well away from any light pollution. A warming fire and hot drinks are served as you stake-out the lights.